This summer, my family was ready for a challenge. 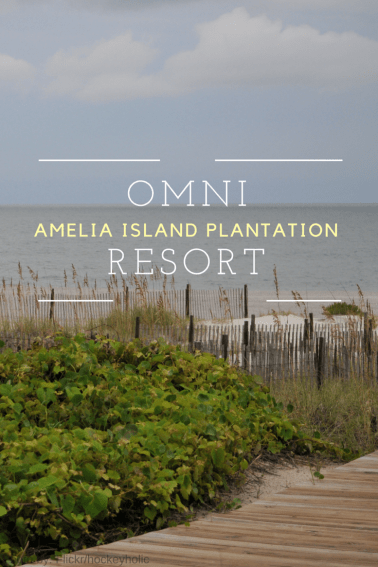 The Omni Amelia Island Plantation Resort hosted our family for a vacation challenge that we loved do much we had to share this fun opportunity with our readers. 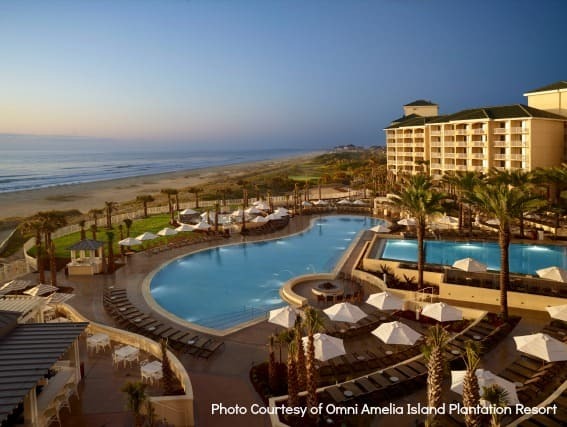 Families who visit before Aug. 31 and complete all the activities in the Great Family Omni Amelia Challenge receive a free two-night stay later in the year. Great deal, right? Here are the details. Book the resort’s challenge package for at least two nights (consider three nights for more flexibility to complete the tasks) and figure out how your family will divide and conquer. As a group, your family will need to complete five activities and share at least five experiences on social media using #OmniAmeliaChallenge. Do all that, and you’ll earn two free nights to redeem between September 2015 and January 2016. There’s kayaking, Segway tours, stand-up paddleboarding, tennis, mini-golf, and 18 holes of golf to choose from. When you’re ready to rest, head to the peaceful spa and relax with a massage or facial, knowing you are doing your part to succeed in the challenge (be sure to try the steam shower before you return to reality). Offering the challenge to families is a smart move on Omni’s part, because it introduces guests to aspects of the resort they could overlook just because of the property’s size. It sprawls across 1,350 acres, stretching from the Atlantic Ocean to the salt marsh on the other side of the island. It’s an easy walk to miniature golf and the spa from the hotel lobby, but for other activities, you’ll want to take advantage of the trams that traverse the grounds. Tip: The Great Family Omni Amelia Challenge is designed for all ages. If the age restriction causes a problem for your family, however, ask about a bicycle option as a substitute. The challenge gives incentive to explore beyond the hotel itself. The challenge strategically draws guests to different parts of the property, where you are bound to uncover something interesting, whether it is a restaurant to try or a beautiful site you could have overlooked. 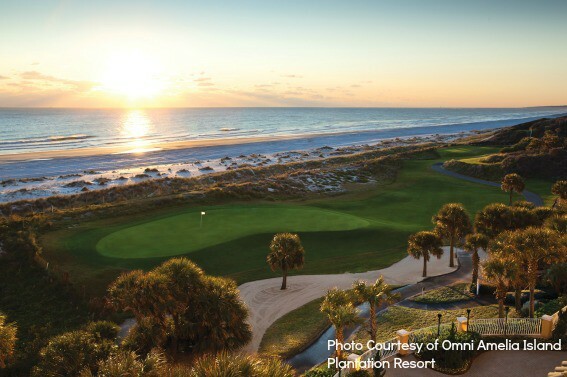 The sheer number of options at the Omni Amelia Island Plantation Resort is what winds up making the challenge, well, challenging. It would be tough to complete everything in a two-night stay, and even with three nights, you may need to double-up on activities, sending part of the family to complete one task while the rest try something else. And it’s easy to get distracted by non-challenge activities that crop up along the way. Kids love the nature center, where they can feed turtles and make shark tooth necklaces. You can attend morning yoga on the beach or grab a seat by the firepit for a “Dive in Movie” at night. There are shrimp boils and “steak-outs” with live music, rum flights for parents to sample at one of the poolside bars and of course the pools themselves, separated for play or relaxation. Of course, all this may make you more determined than ever to complete the challenge — so you can be sure to come back. 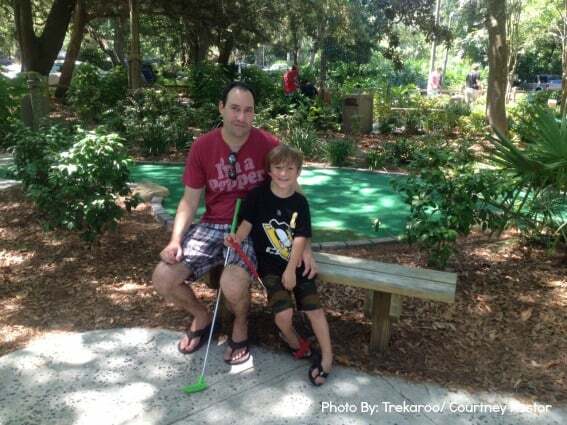 Check out more family vacation ideas for Amelia Island and the many things to do nearby! Thanks to the Omni Amelia Island Plantation Resort for hosting me and my family on this trip and providing activities and accommodations. All opinions are my own. Courtney Cairns Pastor (courtneycp) is a former journalist who loves exploring new places as a Trekaroo Superoo. After 15 years as a newspaper reporter, Courtney made a career change into social media and communications for a private school. She lives in Tampa where she and her family of three enjoy cheering on the local sports teams and checking out all that their beautiful city has to offer. In her spare time, Courtney likes to run and read -- preferably on the closest beach!